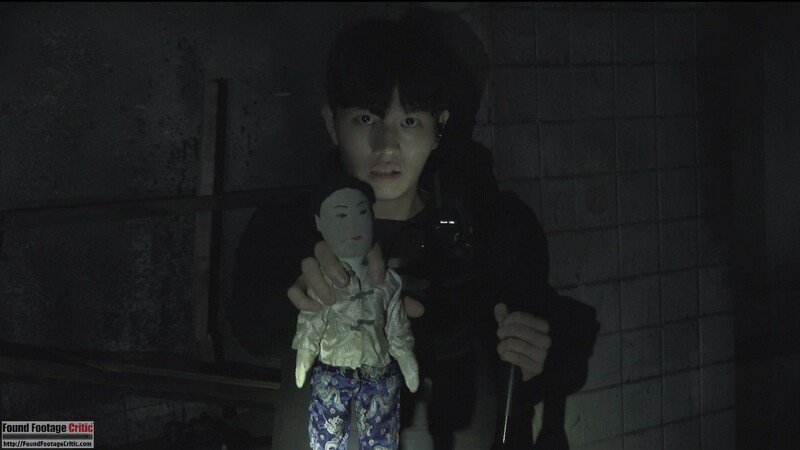 Gonjiam: Haunted Asylum (2018) is a South Korean found footage horror film directed by Jung Bum-shik and written by Jung and Park Sang-min. Note that Korean names can be romanized in numerous ways, meaning that different spellings of the cast and crew’s names will appear in various English-language sources. The film (released in Korea as 곤지암) centers on the crew and guests of the paranormal web series Horror News as they investigate an abandoned mental hospital surrounded by rumors of paranormal encounters. Like many films before it, Gonjiam: Haunted Asylum (2018) has a basis in reality. There is a Gonjiam Psychiatric Asylum in Gyeonggi, Korea, which is in fact rumored to be haunted, though the backstory for the asylum presented in the movie is largely fictitious. As mentioned in the Gonjiam: Haunted Asylum (2018), a 2012 CNN article listed the facility as one of the “seven freakiest places on the planet.” One character even triumphantly declares that the asylum will be the fourth location on the list she has visited. Entering once again into reality, the current (i.e. “actual”) owner of the asylum filed a lawsuit against the producers of Gonjiam: Haunted Asylum (2018) to stop the film’s release, believing the film defamed the property. The case was quickly settled in Jung and producer Kim Won-kuk’s favor. Although Gonjiam: Haunted Asylum (2018) was not filmed at the actual Gonjiam Psychiatric Asylum, using another abandoned building, at least one Korean source states that the filming location is a faithful recreation. Sadly, no credit for set designer or art director is available, at least in English-language sources, which will become a running theme in this review. Any Korean readers are welcome to provide more information that might not be accessible to fans who don’t speak Korean. The film opens with the host of Horror News, Ha-joon, who is determined for his latest live-stream episode to surpass one million viewers. He decides that the key to success is to investigate the notorious Gonjiam Asylum. While he manages the broadcast from a tent set up outside of the facility, his crew, Seung-wook and Sung-hun, and four “guests,” Ji-hyun, Ah-Yeon, Charlotte, and Je-yoon, sneak into the hospital in the dead of night. donning a battery of body-mounted GoPro and handheld video cameras, the would-be ghost hunters wander the building and attempt to contact the spirits using rituals and equipment. For the climax of the investigation, Ha-joon plans for the team to enter the especially malignant Room 402—where many bad things were reported to have happened n the past.. By the end of the night, though, making contact with spirits will be the last thing the intrepid ghost hunters want. Director Jung Bum-shik wrote and directed a few films, most in the horror genre, Although Gonjiam: Haunted Asylum (2018) is the first credit of any kind for writer Park Sang-min. With a small budget and a cast of unknowns, the film was a surprise hit in South Korea, where it opened number one at the box office, beating out the American blockbuster Ready Player One (2018) and other bigger-name Korean films. 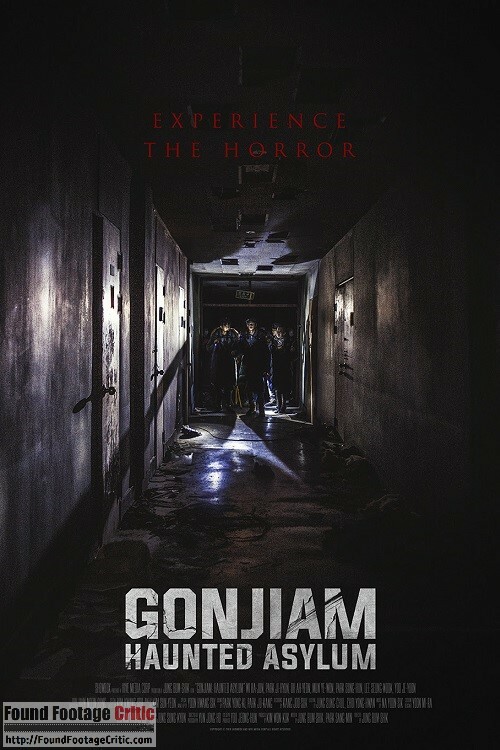 Gonjiam: Haunted Asylum (2018) was subsequently released to forty-seven international markets and has a strong fanbase in Korea. Hopefully, the success of Gonjiam: Haunted Asylum (2018) will lead to more work for the talented cast and crew. Gonjiam: Haunted Asylum (2018) features numerous cameras and director Jung Bum-shik made sure to exploit all of them. Multiple motion-sensing surveillance cameras were set up around the asylum; stationary video cameras constantly filmed inside the tent (i.e. 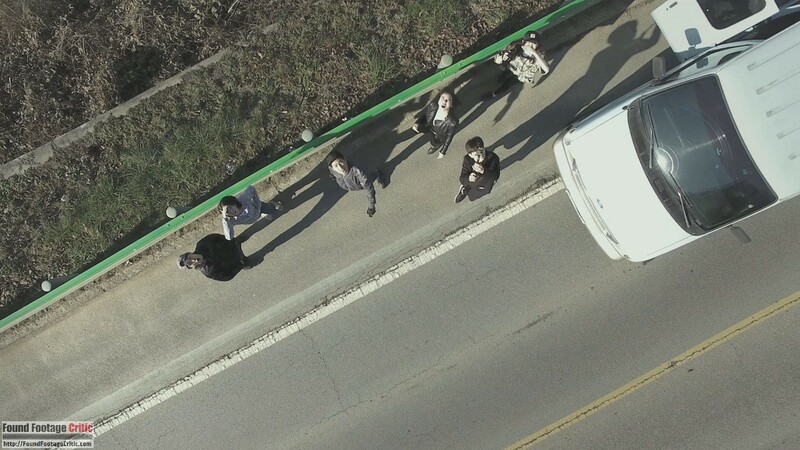 control center) outside of the facility; an aerial drone filmed from above; a professional video camera was held by the lead cameraman; and a small army of GoPro cameras were mounted on the Horror News cast and crew—each cast member had one GoPro pointed at their faces and a second capturing their POV as they explore the facility. 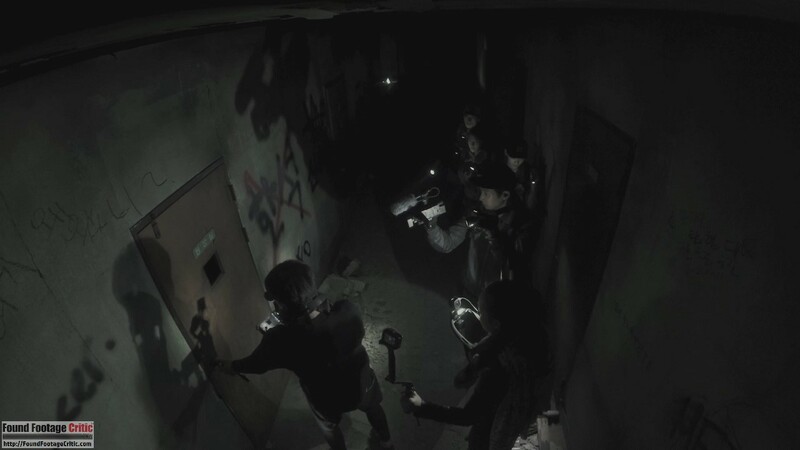 Significantly more cameras were used in Gonjiam: Haunted Asylum (2018) than in movies with similar setups, such as Grave Encounters (2011) or Archivo 253 (2015). This disparity is to be expected as times have changed—today, video cameras are less expensive, smaller, lighter, and infinitely more prolific in our society. 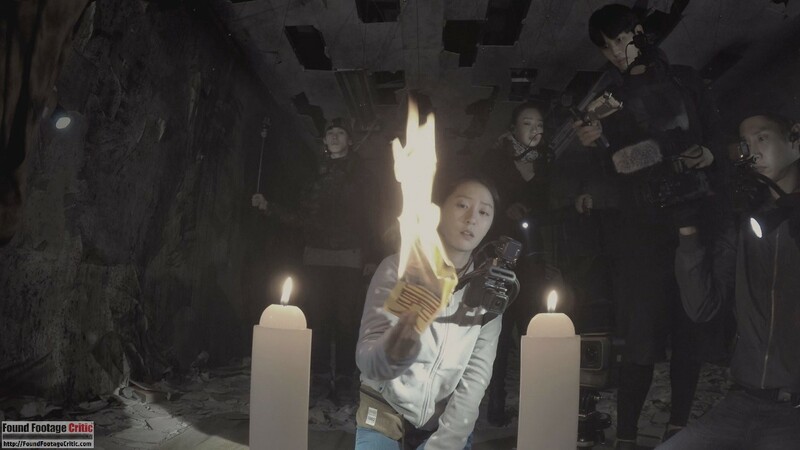 The number of cameras used in Gonjiam: Haunted Asylum (2018) is plausible given the crew’s intention to capture as much coverage as they can, and their focus on recording the cast’s reactions. At some points during the film, so many cameras are used in a single scene that viewers may lose track of which camera the footage is shot from. These moments do not disrupt the flow of the scenes, though, and still, manage to come across as organic. The naturalistic, believable cinematography creates a sense of claustrophobia and unease. In particular, Gonjiam: Haunted Asylum (2018) expertly draws tension and fear from the contrast between silence and noise, and stillness and action. While almost all of the camerawork is performed by the actors, Yoon Byung-ho is credited as cinematographer, possibly for providing management and guidance in keeping a cohesive aesthetic. Gonjiam: Haunted Asylum (2018) maintains a plausible filming reason from the beginning that carries through the final active of the film. Horror News is in the business of producing a reality TV web series. 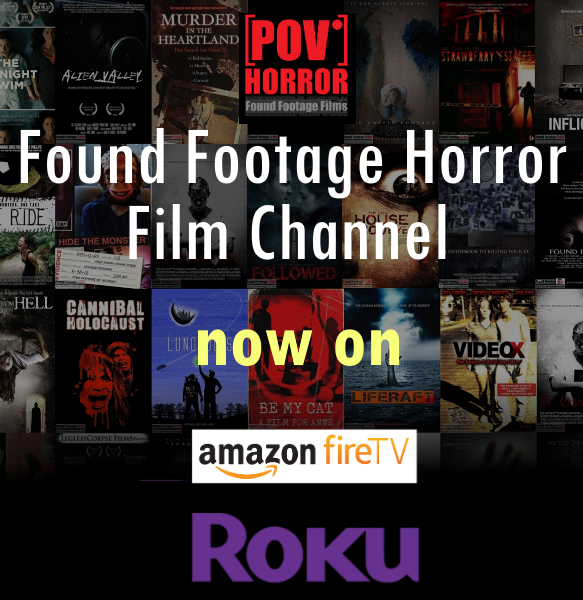 In this particular episode, the subject of the film, Horror News sets out to invite a group of a horror thrill seekers to explore a haunted asylum. The entire event is live streamed with the specific intent of capturing the reactions of the cast and everything around them in real time. The show host, Ha-joon, carefully planned the night to attract as many viewers as possible. 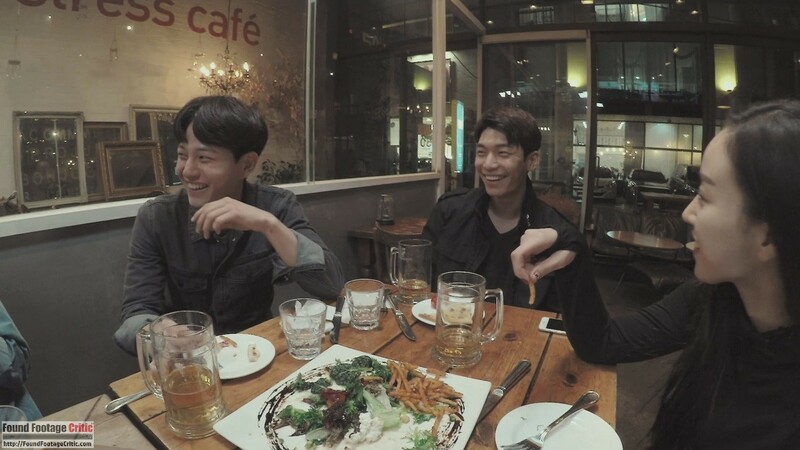 Ha-joon’s obsession, supported by crew members Seung-wook and Sung-hun, further incentivizes him to capture as much as possible. Gonjiam: Haunted Asylum (2018) also includes a myriad of “behind the scenes” footage, which organically fits into the structure of the web series and feels at home with the plethora of reality TV shows that graced the airwaves over the past few decades. The body-mounted auto-recording GoPro cameras thankfully avoid the ever so common complaint of “why don’t they just drop the camera?” and “why are they still filming?” The characters couldn’t drop the cameras if they wanted to; the film even makes a point of showing how securely the rigs are attached, explaining why the video cameras continue to record, in place, as characters are running and falling. The film does, however, contain a few scenes that strain credulity, where characters under extreme stress continue to hold a rather bulky handheld video camera and smoothly film, where the average person would most likely drop the camera and run. These moments are relatively brief, though, and can somewhat be explained by characters wanting to use the video camera lights attached to the cameras. To the director’s credit, Gonjiam: Haunted Asylum (2018) stays completely within found footage premise and does nothing overtly wrong that breaks the suspension of disbelief. The professionally edited scenes in the first half of the film are explained away by host Ha-joon preparing the cast meet-up footage as the setup for the live stream event. During the actual live stream, host Ha-joon can be seen in his tent editing footage on-the-fly as the producer of a live newscast or soap opera would do on network TV. 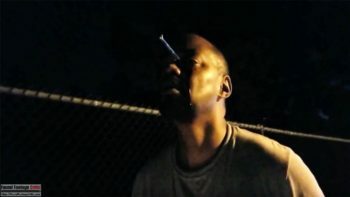 The live stream portion of the film contains scenes with background music. Host Ha-joon can be heard verbally prompting for the start of the music, which effectively communicates to viewers that the music has an in-movie source and the film is pure found footage. Director Jung Bum-shik and, in particular, editors Kim Hyung-joo and Yang Don-yeop deserve credit for simultaneously maintaining tension and viewer immersion. 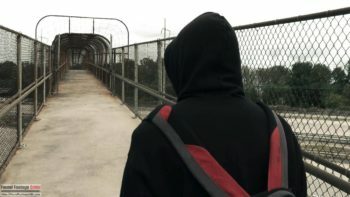 Many found footage films fall into the trap of using editing to artificially hide information from viewers that would be apparent to the characters. Kim and Yang, in fact, won awards for best editing at the Grand Bell Awards and Blue Dragon Film Awards, ceremonies comparable to the Oscars in terms of prestige in South Korea. The performances in Gonjiam: Haunted Asylum (2018) are fantastic examples of found footage acting. The characters come off as real people, and their interactions are believable and compelling. With a relatively large cast, the characters could easily have become muddled and unmemorable. Jung Bum-shik and Park Sang-Min’s exceptional writing and the casts’ great acting avoid this all-too-often sprung trap altogether. The unique feel that each actor brings to their role is unforgetable—Ah-yeon’s shyness; Charlotte and Ji-hyun’s friendship, brashness, and enthusiasm; Ha-joon’s role as charismatic leader; Seung-wook and Sung-hun’s shift from jokesters to more serious leaders as plot goes evolves; and Je-yoon’s increasingly combative and erratic behavior. Special credit goes out to director Jung Bum-shik and writer Park Sang-Min for the behind-the-scenes cast meetup, meals, meetings, and social events that were filmed during the first half of the movie. These scenes were pivotal in establishing the character backstories and character development that carry throughout the story. None of the actors have many credits to their names. In fact, none of the six main cast appeared in a theatrical film before Gonjiam: Haunted Asylum (2018) and hasn’t since. Thanks to this film, though, the actors are receiving significant buzz in their home country. Wi Ha-joon (Ha-joon) and Park Ji-hyun (Ji-hyun) were nominated for best new actor and actress respectively at the Grand Bell Awards. Wi Ha-joon was also nominated at the Blue Dragon Awards. 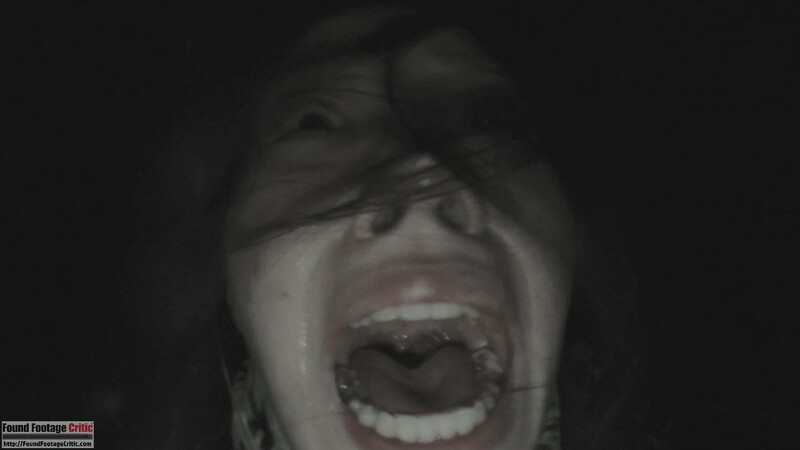 Similar to many other found footage movies, each character is named after their actor, with the exception of actress Moon Ye-won as the American Charlotte Moon. On a fundamental level, the plot of Gonjiam: Haunted Asylum (2018) is similar to numerous similar-minded found footage films: a documentary crew enters a scary location (in this case a haunted asylum) only to meet a terrifying fate. As noted above, Grave Encounters (2011) and Archivo 253 (2015). are examples of similar premises. On execution, though, Gonjiam: Haunted Asylum (2018) is anything but derivative or predictable. Gonjiam: Haunted Asylum (2018) is not afraid to slowly build-up the story and tension before entering the asylum itself, allowing for character development and establishing a subtle sense of dread. By the time the team of novice ghost hunters breaks through the front door of the asylum, viewers are likely to feel attached to the characters and feel real concern for what lies ahead. Gonjiam: Haunted Asylum (2018) delivers potentially supernatural incidents at an effective pace and in a fashion that ensures the character actions consistently believable. A twist about halfway through the film sends the plot off in a different direction, which adds depth to both the story and characters. One of the reasons Gonjiam: Haunted Asylum (2018) may resonate with international audiences is the way in which the film is based on Korean culture, religion, history, and politics. This aesthetic of the film makes Gonjiam: Haunted Asylum (2018) stand out as creative and unique. Events from Japan’s occupation of Korea are proposed as possible explanations for the asylum’s haunting, rituals and images are drawn from Korean spiritual life, and even politics are referenced occasionally. In one scene, the other characters make fun of Charlotte for not knowing who the President of Korea is. In general, the portrayal of an American character from the point of view of another culture is fascinating. Politics and cultural references aside, Gonjiam: Haunted Asylum (2018) is a fun and visually engaging found footage film. Fans of the paranormal and found footage are likely to enjoy Gonjiam: Haunted Asylum (2018). 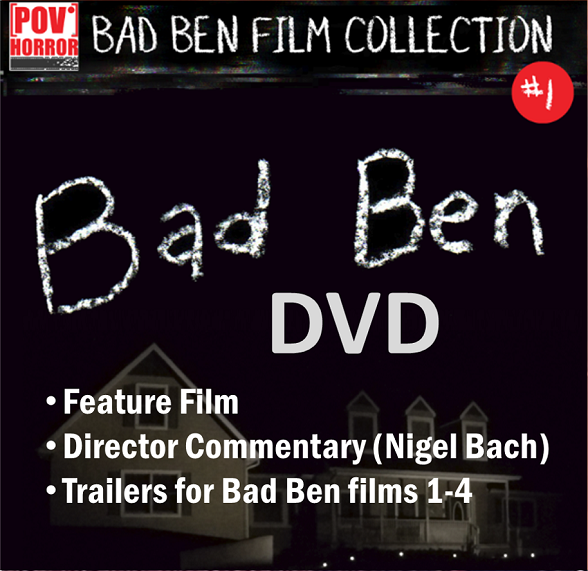 This is one found footage film we strongly encourage you to watch. 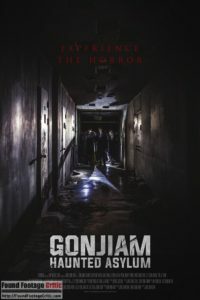 GONJIAM: HAUNTED ASYLUM is a film which begins with a common found footage premise and elevates it through fantastic performances, quality writing, and effectively creepy and engaging cinematography.